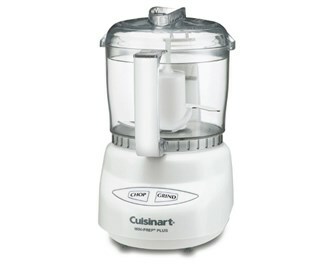 The Cuisinart DLC-2A Mini-Prep Plus Processor is an ideal appliance for pesto making, salad dressing, chopping and grinding. Its versatility lies in the special auto reversing Smart Blade8482;, which makes it easier to process both soft and hard foods. The processor features a sleek touch pad controls, elegant looks and easy to clean dish washer safe parts. 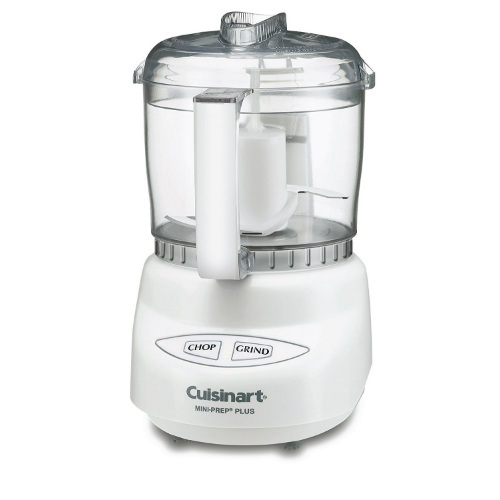 The Mini-Prep Plus Processor White has many exciting features for users of all types. You can extend the lifetime of your Mini-Prep Plus Processor White with the purchase of a FactoryOutletStore Factory Protection Plan. See the Mini-Prep Plus Processor White gallery images above for more product views. The Mini-Prep Plus Processor White is sold as a Brand New Unopened Item.